Wish to have an easy cheeseburger casserole for dinner with your family or friends? Then, here is a simple recipe for you to fulfill your wish and enjoy a Beef and Bacon cheeseburger casserole recipe. 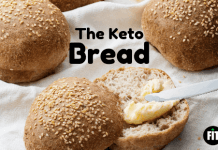 This recipe is keto friendly and low carb. So, help yourself with a combination of keto recipes dinner and enjoy the heat of your oven, warming your kitchen in the cold winter. 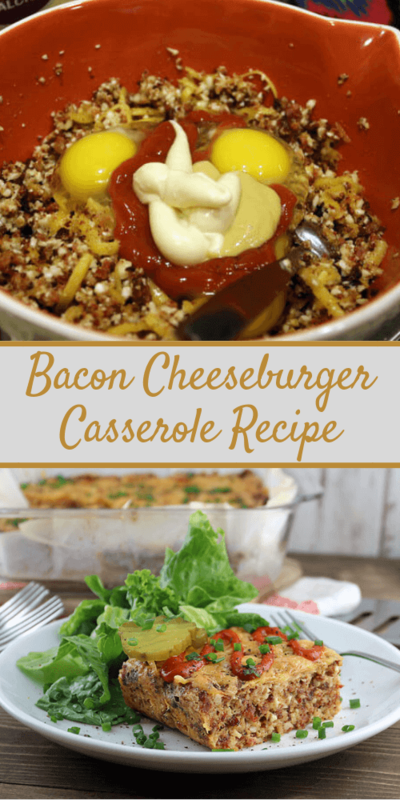 For people who are a fan of burgers, bacon, and cheese will definitely fall in love with this casserole. Thus, with the blend of three incredible flavors of cheese, bacon, and burger, this recipe is sure to turn out as a regular on your menu. Unless, of course, you are on a dairy-free diet and don’t have an alternate for the cheese. You can cook this mouth-watering casserole in no time, especially if you have your bacon cooked already. 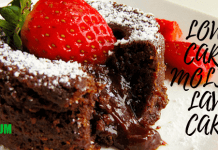 The good thing about this recipe is that it is very flexible. Mostly, people on a low carb diet love their bacon but don’t hesitate if you want to leave it out or replace it with some vegetables of your choice. 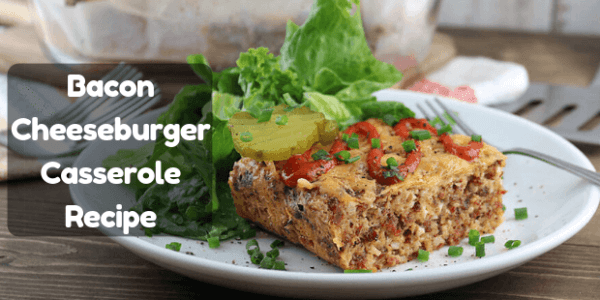 You can even add pickles to give it a little tangy flavor and turn it into a cheeseburger casserole with pickles. You can add tacos as well to get a keto taco casserole. Wish to have an easy cheeseburger casserole for dinner with your family or friends? Then, here is a simple recipe for you to fulfill your wish and enjoy a Beef and Bacon cheeseburger casserole. In a pan, cook the ground beef with garlic and onion powder, until it turns brown. Take a casserole pan, measuring 9x13 inches and on its bottom spread the browned beef. Stir the pieces of bacon into the cooked beef. Take a medium bowl and in it add the eggs, heavy cream, salt and pepper, and tomato paste. Whisk them until they are well combined. Add 8 ounces of grated cheese into the egg mixture and stir it. Pour the egg mixture over bacon and beef. Top it with the remaining cheese, which is 4 ounces. 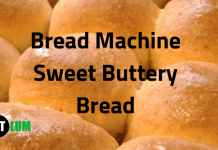 Bake it at 350 degrees Fahrenheit for 30 to 35 minutes or until its top turns golden brown. If you are looking for a less crispy casserole, you can reduce the number of eggs and increase the quantity of beef. You can add in mushrooms, pickles, and onions if you like. You can bake your bacon strips in the oven to cook them. This will give you crispy and picture-perfect strips. It is easier than frying. You can stir the cheese into either the sauce or the meat. You can change the type of cheese used. In low carb ground beef recipes cream cheese gives a nice, smooth, and creamy feel. Try out this recipe for an easy cheeseburger casserole and enjoy the cold winter night eating this warm, cheesy casserole with your family and friends.